Manuel D. Rodriguez, DO - Infectious Disease Services of Georgia, P.C. Dr. Manuel D. Rodriguez received his Bachelors of Science degree in Psychobiology in 2000 from Florida Atlantic University. He continued on and received his Master’s degree in Biomedical Science from Barry University in 2002. In 2006, he obtained both his Doctor of Osteopathic Medicine and Master’s of Public Health from Nova Southeastern University in South Florida. After completing his Osteopathic internship at Palmetto General Hospital in Hialeah, Florida in 2007 he moved to Mobile, Alabama where he completed his residency at University of South Alabama in 2010 and stayed on as Chief Medical Resident for an additional year. In 2011, he and his family moved to Washington, DC where he completed his fellowship in Infectious Diseases at The George Washington University in 2013. Throughout his training he has received numerous teaching awards, and since joining IDSGA has been asked to lecture on Infectious Disease topics at both local and state conferences. 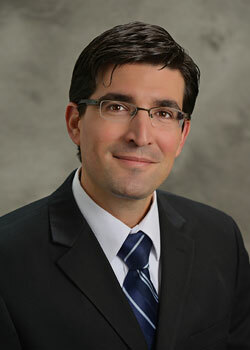 He is currently Board Certified in Infectious Disease and Internal Medicine and has professional affiliations with the Alpha Omega Alpha Medical Honor Society, the American College of Physicians where he serves as a member of the Council of Young Physicians, the American Osteopathic Association, and the Infectious Disease Society of America. In his spare time, he enjoys cooking, reading, hiking and spending time with his family.